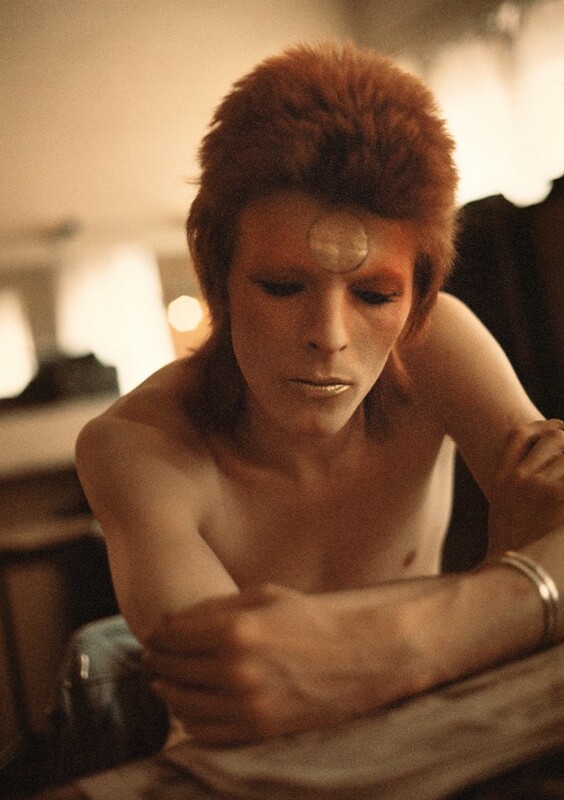 It’s 1973 and your phone is ringing. 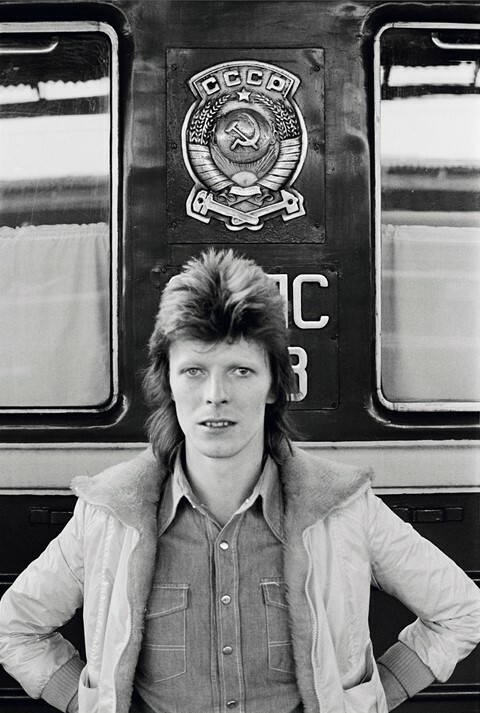 You pick up and it’s David Bowie (at a notable peak of his creative fervor and otherworldly beauty) inviting you to join The Spiders From Mars and go on tour with him. 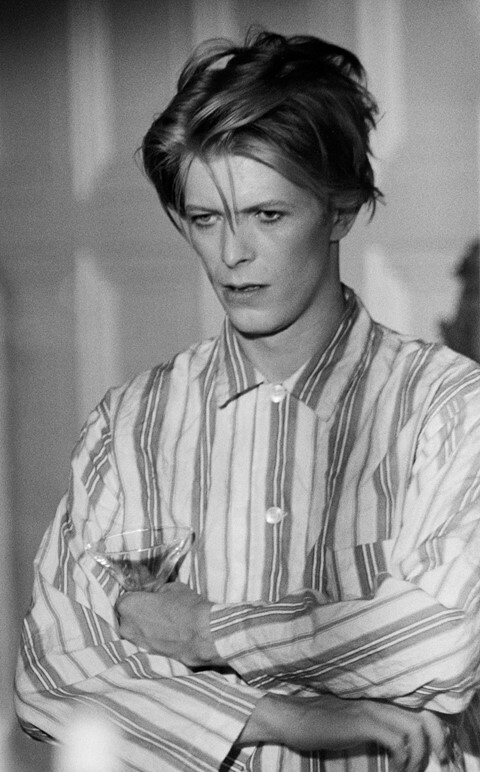 He explains to you that he’s flight-phobic so you’ll be travelling by sea in fine style (a brilliant detail, very Bowie-esque in its glamour and perversity) from London to New York, and from Los Angeles to Japan. 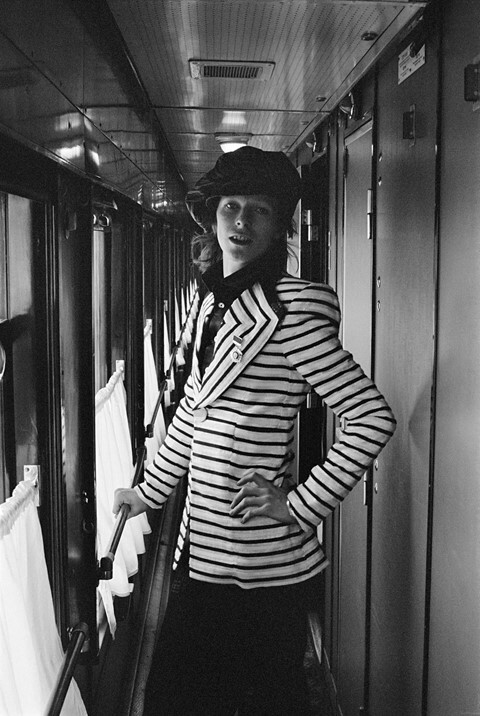 And then from Japan to Russia, in the close-quarters of the Trans-Siberian Express to Moscow, on to Paris and then Rome. 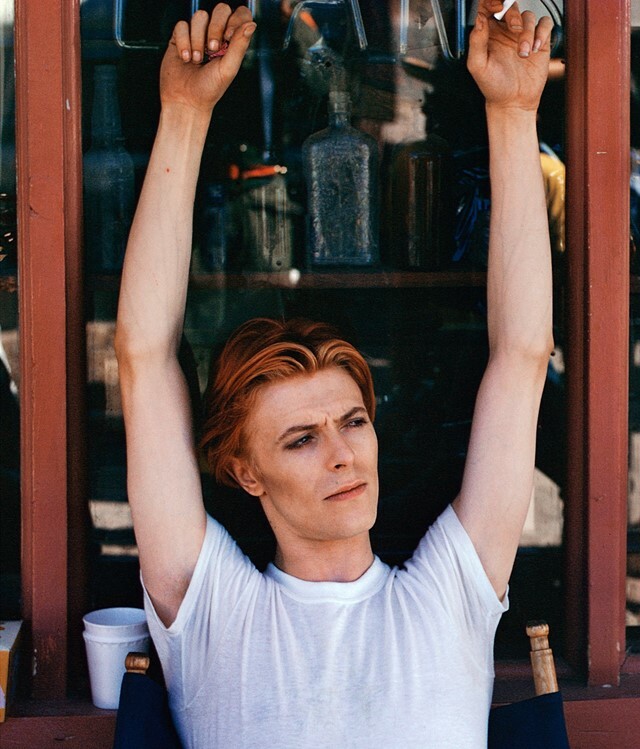 Once you imagine the fun is drawing to a close, Bowie asks you to stay on with him as a Diamond Dog and continue the adventure for a few more years. 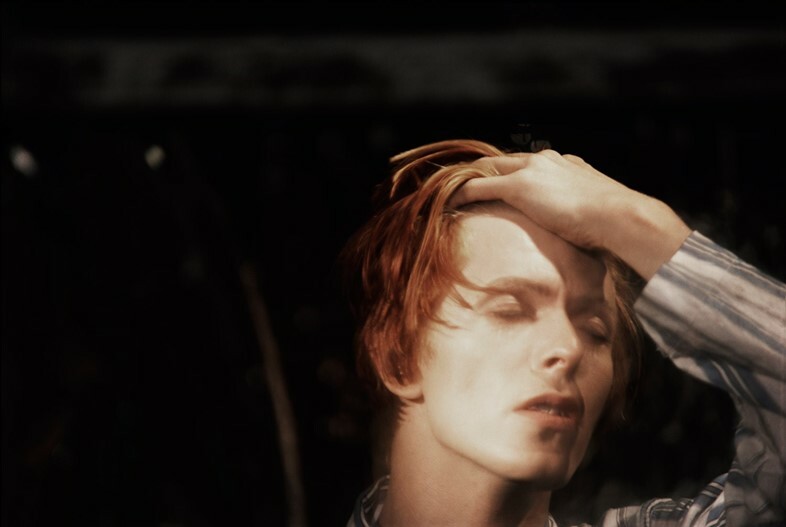 This is not an elaborate fantasy, it’s what actually happened to Geoff McCormack, an old school friend of Bowie’s who was working selling advertising space for a London construction paper when he received the astonishing invitation. Thankfully, McCormack – now a writer, producer and photographer – had his camera with him to document ‘the party that lasted three years’. 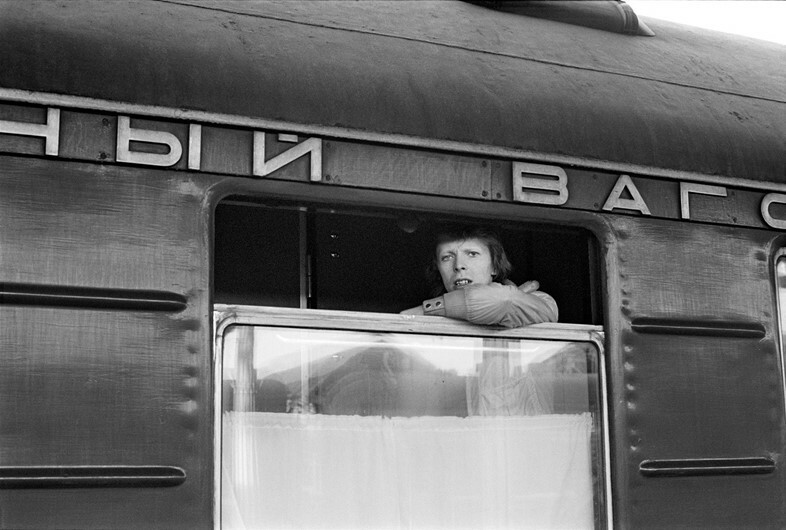 In the first solo exhibition of these special pictures,‘David Bowie, The Geoff MacCormack Collection’ is showing at the Francesca Maffeo Gallery (showing until 14th April) alongside The Long Way Home, a cine film shot by Bowie capturing the friends’ journey from the docks in Japan, their time on the Trans-Siberian Express and their arrival in Moscow for the May Day Parade. Some of MacCormack’s images are so familiar, they’ve been absorbed so thoroughly into the cultural consciousness it’s easy to forget they were ever actually taken by anyone. Seeing these pictures again, re-framed by MacCormack’s narrative, allows us the opportunity to revisit these iconic images as if for the first time. 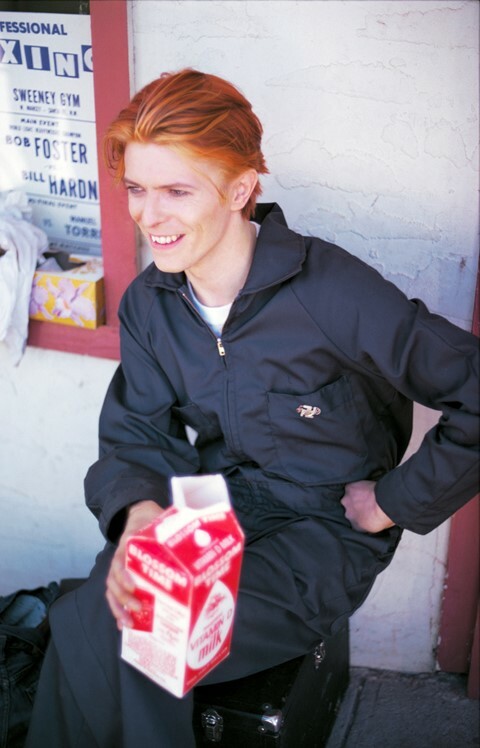 Other, less recognisable, pictures offer us a glimpse of that elusive creature, a relaxed, unguarded Bowie. Below, the photographer guides us through some of the stories behind his ‘intimate photographs of two friends, travelling side-by-side’.